Visit a Recording Studio While a CD is Being Made! Ever wanted to see a CD being recorded live? Well, next Monday, August 17th, you can! Shua Kessin is wrapping up his debut album and he wants you to come check it out. Here are the details. 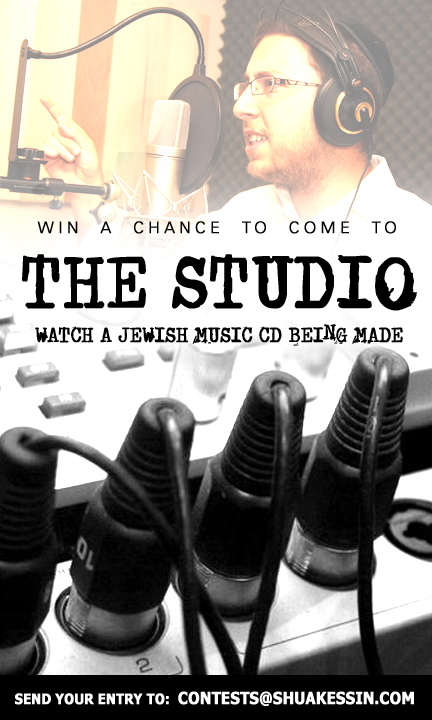 Winner must be over 18, and be able to come next Monday evening to Williamsburg where the CD is being recorded. There will only be 1 winner, but the winner is allowed to bring 1 guest (no more). We will also be having a photographer come and take pictures of that evening on the studio. To enter in the contest send us your name to contests@shuakessin.com, and if you have any questions you can email as at contests@shuakessin.com also.